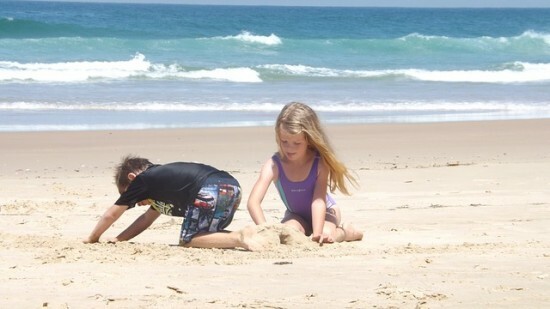 A day at the beach with kids is a wonderful way to enjoy the best of what summer has to offer. Splashing about, having a picnic, getting your dose of vitamin D–the beach is always a family favorite. 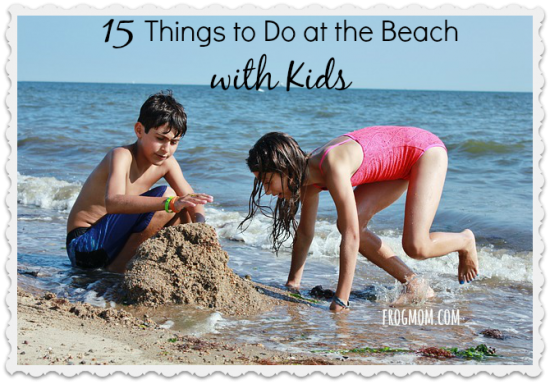 Whether you’re a beach regular or not, it’s great to have a list of things to do at the beach with kids, if only to hit the refresh button on classic activities. 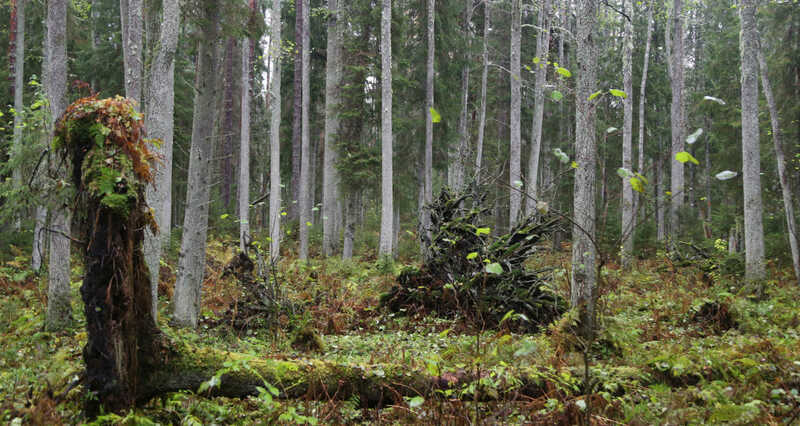 As you will see, there’s more than playing with buckets and shovels in this list. Who knows, you might plan beach days sooner than you anticipated? 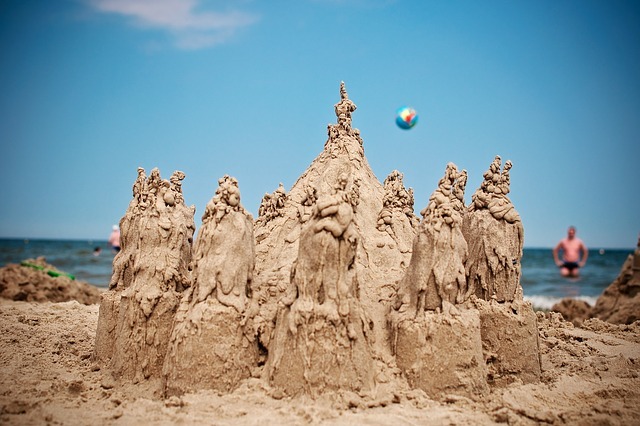 Just grab a fistful of wet sand from the hole and start building! Think snow balls for the beach. Sand globes are not only fun to make, they are real works of art if your kids can get the all-rounded look. 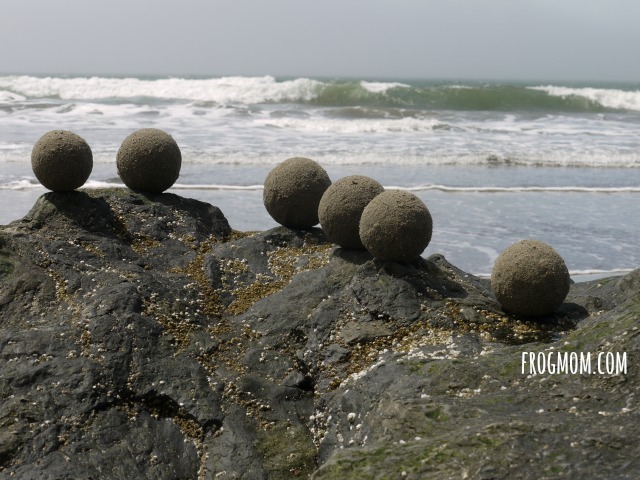 I first got to know about sand globes from artist Zach Pine in California. He was a master of the craft and makes the most beautiful beach art. Watch him show people how it’s done in this video. 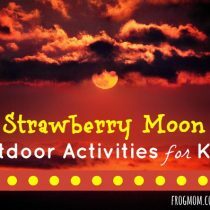 This activity includes a two-step process and can last as long as your kids want. 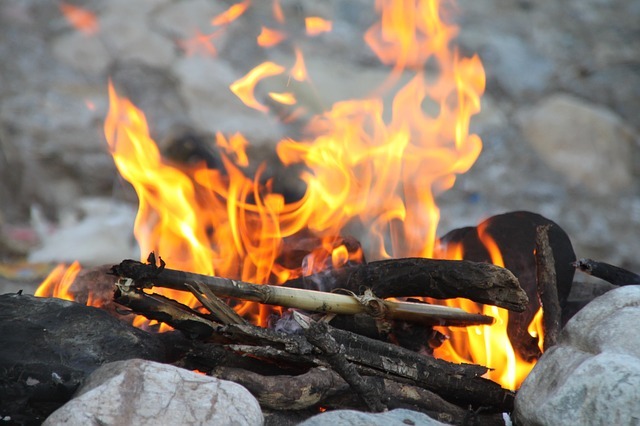 They can start by gathering sea shells or other small items on the beach (drift wood, polished glass, pebbles, dried seaweed). I’ve often seen my girls break up the tasks between them two: material collection for the youngest, grand engineering designs for the oldest. Once there’s enough materials at hand, create a shape and decorate away! The resulting sea shell art piece can be as simple as a circle or as intricate as a sea shell mandala. Don’t forget to take a picture before the sea washes the work of art away. The word “labyrinth” is usually music to the ears of my girls. They see it on a sign, they hear it from someone and next thing you know, they’re exploring the labyrinth. The next best thing to exploring is designing your own labyrinth! 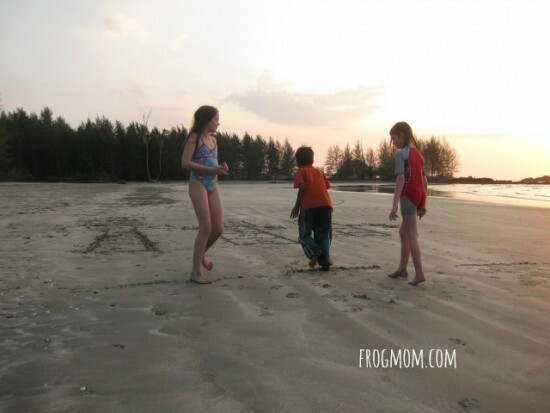 To dig lines for a sand labyrinth, kids can use a stick or their foot. They can also use pebbles or seashells to delimitate lines, if they’re patient enough or a small group of friends. The thing to remember for labyrinths is that you need a way in, a way out (if different from way in) and a center point where all lines converge. To get an idea, here’s a simple animated tutorial to create a seed pattern labyrinth. Have fun! Ready for an ocean adventure at low tide? 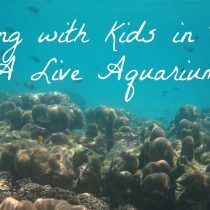 On rocky seashores, you will be able to find fascinating sea plants and animals that you usually see in aquariums, without (really) getting wet! Here’s how it works. 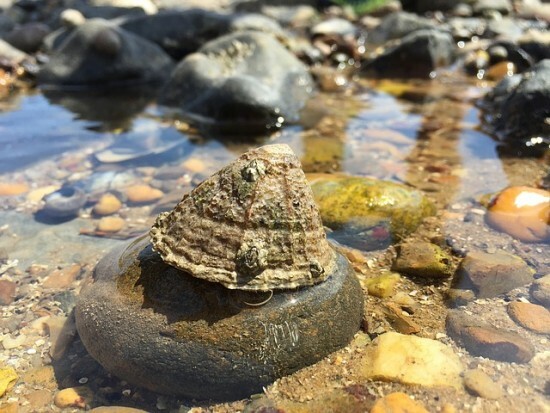 Find out about low tides where you are. Tide table show the times and tidal heights of all high and low tides throughout the year and can found online or at local boating shops. 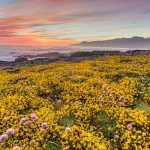 Tides listed in minus feet/meters are the lowest and best for tide pooling. Generally early summer mornings and late fall and winter afternoons have the year’s lowest tides. 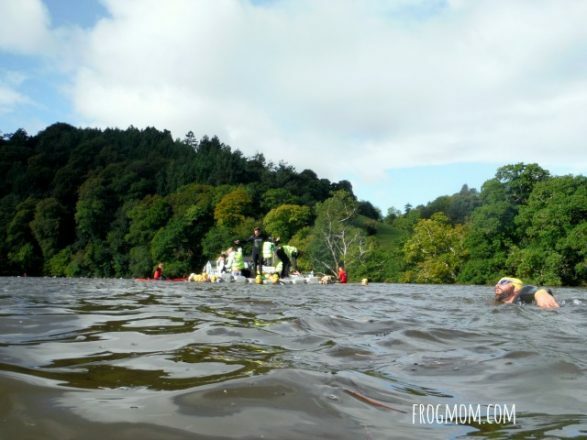 Plan to start exploring an hour before the lowest tide and retreat at the lowest point. Never turn your back on the ocean. Wear closed-toe water shoes to avoid getting hurt by razor-sharp seashells or rocks. Be careful not to step on animals while you explore. 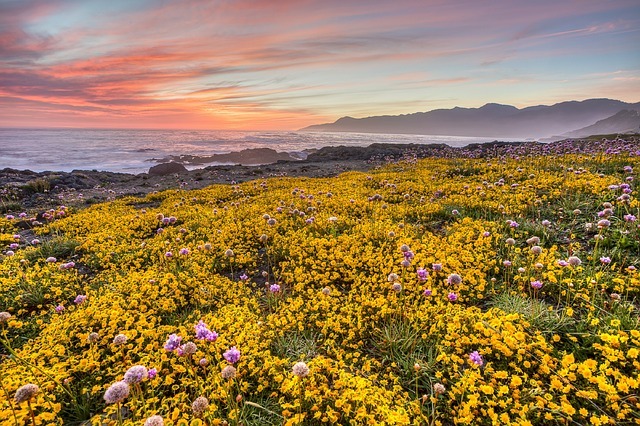 To ID all the wildlife that you will find, you can either bring along a coastal wildlife guide or compare your pictures to online resources such as the common intertidal organisms of Monterey Bay curated by Stanford University. 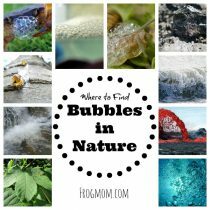 The above beach scavenger hunt from Cool of the Wild is a great example of the type of scavenger hunt you can organize at the beach with your kids. 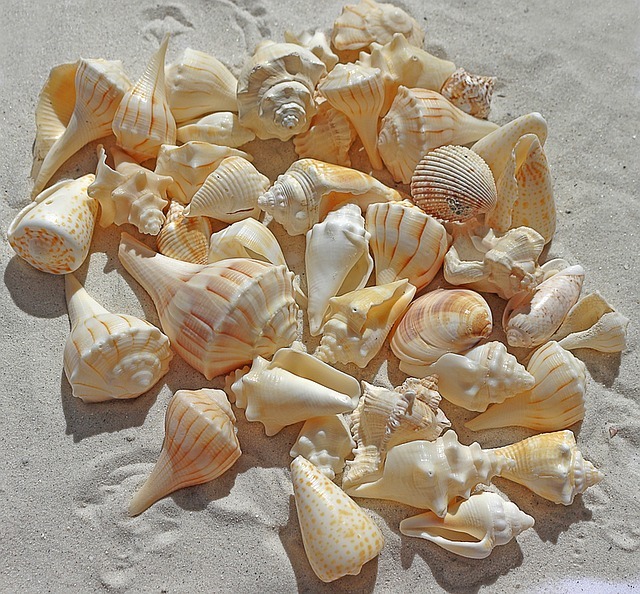 This activity will have your kids explore the beach in small groups, either with a bucket to collect their finds (remember to put them back after the activity) or with a camera to prove that they’ve found the items. 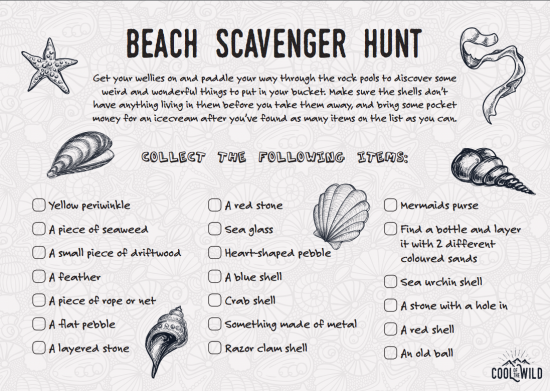 For younger kids, you can make it a color-themed or alphabet-themed scavenger hunt and for older kids, you can make it a beach-clean-up-themed scavenger hunt. The best days to catch a wave on a boogie board at the beach are days with one-foot or two-feet waves, sea not too lumpy. 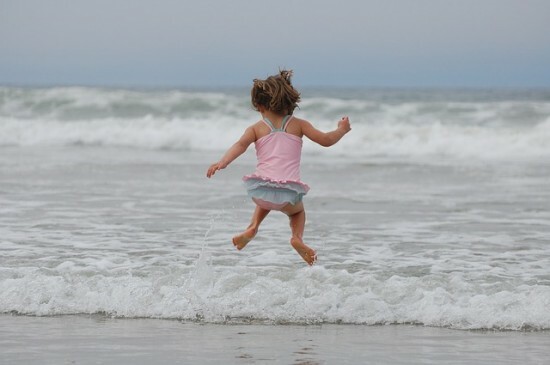 Make sure your kids start boogie boarding away from rocks and have them wear waterproof shirts or rash vests, as sea salt friction on the board can create rashes. Now, how to catch a wave? First, paddle to where the waves start breaking. Once on the wave, start paddling and lay on the board with your chest closer to the end of the board, so that the board stays nice and flat in the water. Once you get the hang of it, practice pushing down on one side of the board to catch a longer wave. Maybe there’s no such thing as a free lunch, but can there be a free dinner? 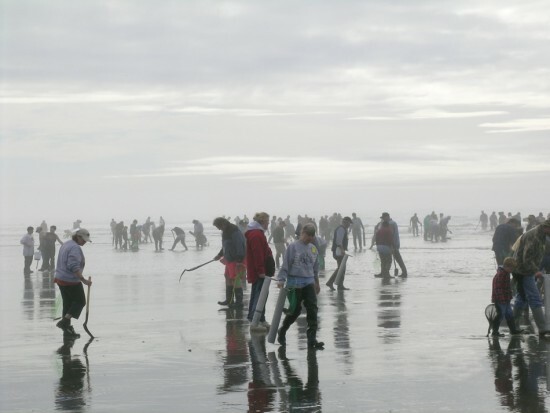 Clam digging is an iconic Pacific Northwest family tradition and if you’ve read Dylan Tomine’s book, Closer to the Ground, you’ll understand how much fun it can be for kids. You will need to check your local rules on clam digging (restrictions on size, seasons, limit per person) but basically, the main points are as follows. The best time for clam digging is low tide. You will need a strong sturdy shovel, a bucket to place your clams in, a rake and a dowel, which is a cylindrical pin made of metal, wood or plastic. To find clams, look for breathing holes in the sand, usually shaped like a U. Some clams are only a couple of inches below the surface, others as deep as 1.5 feet down. Cover your clams with at least six inches of water and keep it cold. 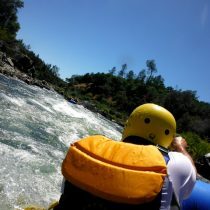 Float a cooler pack in it on hot days. 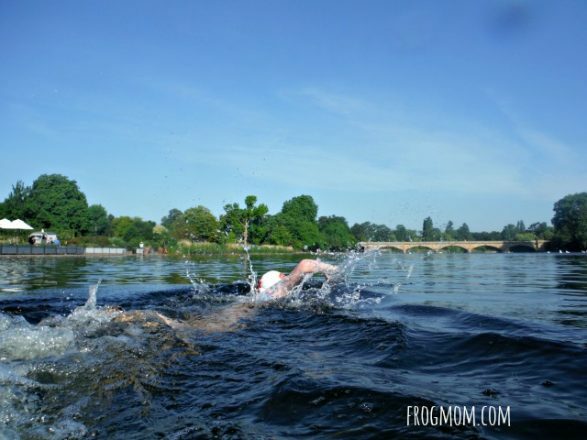 The clams need a minimum of four hours in this water to purge their bodies of grit and sand. Big, small, blue or green, all waves are fun to jump over! Sometimes you can jump very close to the seashore, other times you have to go a bit farther to jump in bigger waves. 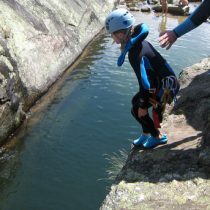 Always bring an adult to jump with–the more, the merrier and the safer! 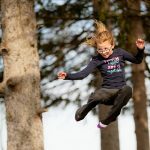 When picking your jump spot, make sure that there are no rocks or dips that could hurt you when you jump. Curiosity cabinets were invented in the 19th century as ways to display collections for naturalists. John James Audubon, Charles Darwin and Henry D. Thoreau, amongst others, created impressive and beautiful curiosity cabinets with rare species of plants and animals. 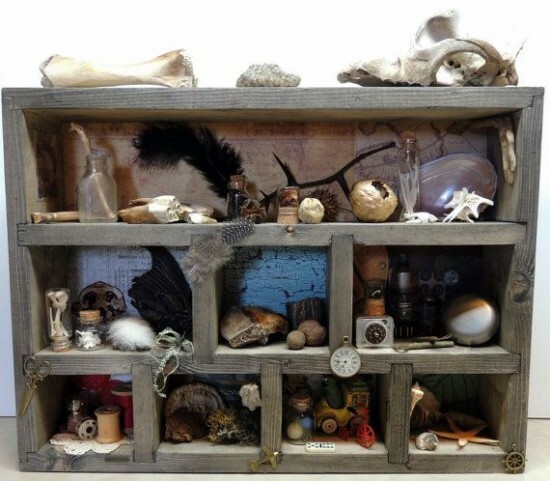 To create your own, collect objects from your beach adventures and make a display using small cardboard boxes, egg cartons or upcycled wooden boxes. Use white glue for each object and don’t forget labels! Better than chairs, have you tried musical towels? This game is played exactly like musical chairs, except with towels. 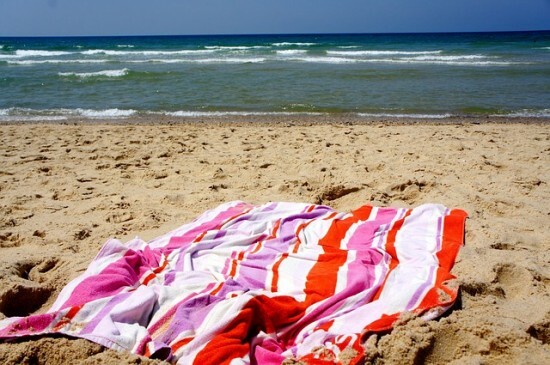 Lay out one less beach towel and/or beach mat than you have players. Have the kids walk in a circle around the towels when the music plays. Turn off the music – quick, find a towel to stand on! There’s only one child per towel. Kids who managed the first round successfully enter the next round. Remove a towel and repeat. The last child on a towel wins. # 13 Drill a Hole! How deep can your kids dig in 10 minutes? There’s only one way to find out. Get them to work in pairs and start the timer. Drill time! Hopscotch seems like a rather straightforward game to play at the beach with kids, away from electronics. Draw your boxes in the sand with a stick, number them or draw shapes, hop away. However, what if you decided on more challenging rules, say skip a box in front of you or two? Click here for variations on the classic rules of hopscotch. Hopscotch can be a fantastic game and playing it in the sand opens miles of possibilities! 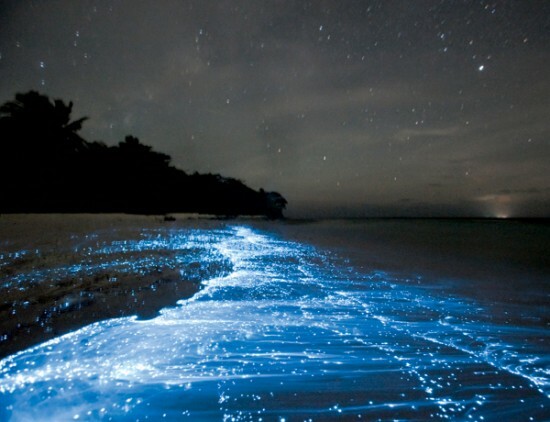 Bioluminescent plankton is to the sea what fireflies are to dry land. It’s plankton that glows in the dark and when it gathers on the seashore, all you need to do is trace a line in the sand at night to see blue speckles of light glow and die away. It’s like magic for kids but you’ll have to find the right beach first. Lucky for you, there are places to find bioluminescent plankton on every continent. Just Google your country and bioluminescent plankton to find it. 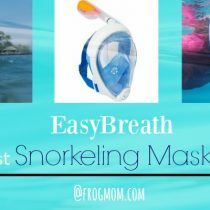 I hope that you enjoyed these ideas and that they will inspire your future days at the beach with your kids.